Struggling to choose a steam oven? Discover top brands & values in our buying guide. In the last few years, this category has certainly been picking up steam (pun not intended). I’m sure by now you have been told that it’s the healthiest way to cook. Moisture does maintain the nutrients and minerals of the food instead of baking them out. The food will also have a lower fat content because you’re not using any oil to keep the food moist when cooking. A steam oven can cook foods such as vegetables, seafood, meats, rice and grains (think of it as a pressure cooker built into an oven). The moist environment provides a controlled and even flow of steam gentle enough for pudding cakes, eggs and custards as well. But does it really work? Better yet, do you need to be a chef or mathematician to use it? Are Steam Ovens Worth Buying? 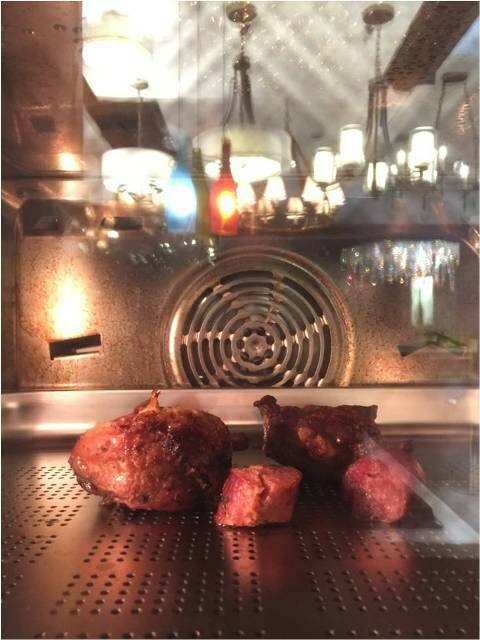 I decided to conduct my test (reheating 3-day old food) in one of the best selling steam ovens at Yale. Reheat quality: Can warm up food without drying it out- saves money on food! 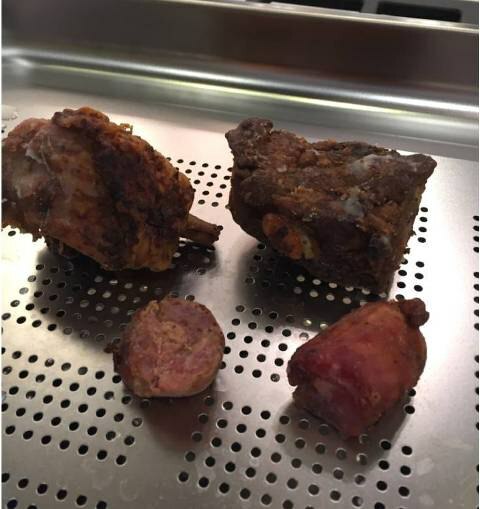 To demonstrate the effectiveness of this tech I reheated 3-day old meat that had been kept in a fridge mostly uncovered. Mind you that at no point do I refer to the owner’s manual. 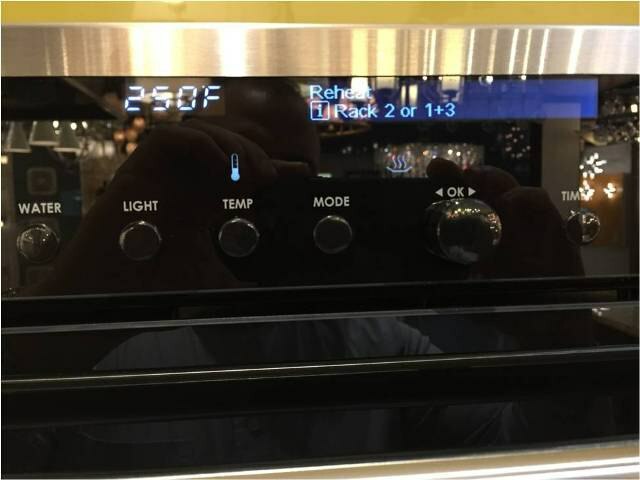 Turning on Reheat mode couldn’t be easier. Notice how the unit shows it’s optimal location for one or two racks. 8 minutes later and it tastes better than it did 3 days before! I managed to pawn off the chicken and chorizo to fellow colleagues telling them I just made it last night. No one believed they just ate 3-day old food. Another thing to note is that there were was no flavor transfer, although in this case it certainly wouldn’t hurt! So to answer the question to my blog title…Yes, absolutely! Sure you can “nuke” a meal in less than two minutes. However, it robs your food of all moisture and nutrients. But for the exchange of a few more minutes that yield what appears to be “freshly prepared food,” the results are certainly worth it. And the simplicity and ease of function is a bonus. As time goes by, my prediction is that these appliances will become a staple in almost every kitchen. The fact that you can cook family-size portions with ease means it’s adaptable to any size kitchen. Without a doubt a newly renovated/designed kitchen needs one of these! Oh, did I mention this can also be used as a traditional oven as well? Microwaves are sure to be a technology of the past sooner or later. 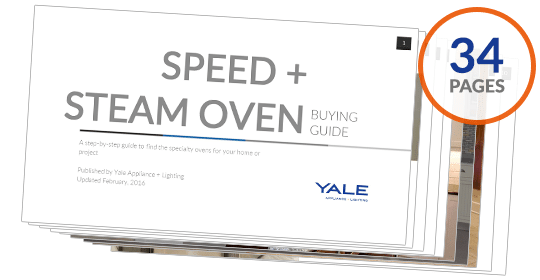 Get the Yale Steam and Speed Buyers Guide with features, specs and inside tips to every speed and steam oven. Over 200,000 people have read a Yale Guide. Editor's Note: This article was originally published on April 10, 2015 and has been updated for accuracy and comprehensiveness. Rick Medeiros has over 10 years of appliances sales experience and is in the appliance sales department at Yale Appliance + Lighting. He enjoys travelling, live music and learning to play the guitar.